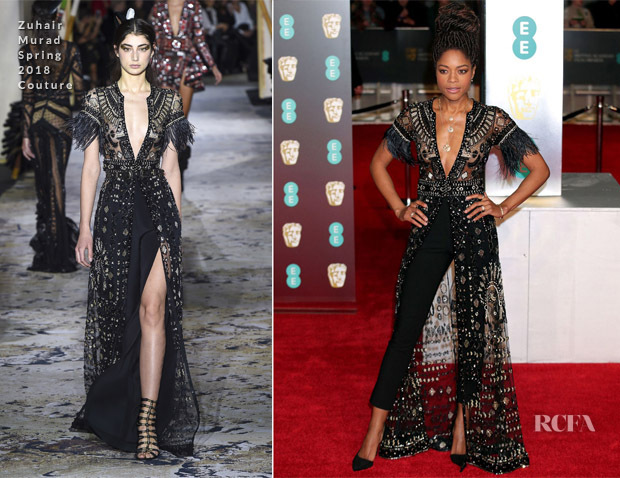 Naomie Harris made a long-awaited return to the red carpet this evening (February 18), for the 2018 BAFTA Awards in London. As you know I’m a huge fan of Naomie’s style, but my immediate thoughts on her Zuhair Murad Spring 2018 two-piece look was, this feels too casual. Beautiful, perfectly in tune with her style, but not quite right for the event. I also believe that in opting for this look that she should’ve kept the runway loose-fit trousers. On any other red carpet – that wasn’t a major awards ceremony – I would’ve fell in love with this look – especially at any of the ‘Black Panther’ premieres. De Beers jewels completed her look.